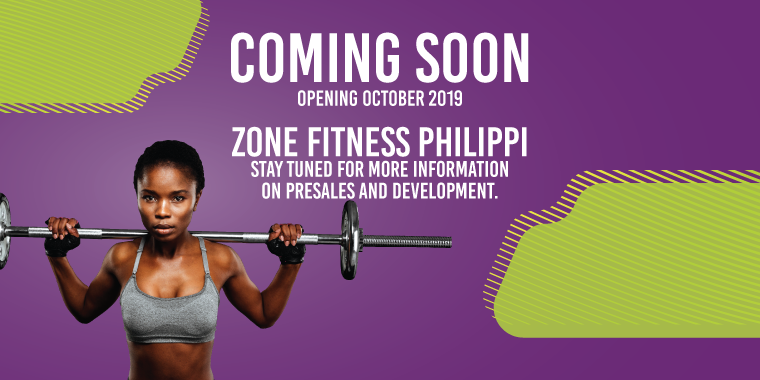 More exciting news for all our Zone Fitness gym lovers. We are opening a branch in Philippi in October. Contact us on 084 530 4088 for more information on our pre-opening special offers or visit our sales team in the Philippi Junction Mall. At Zone Fitness we are passionate about making your fitness journey the best one you have ever had and with amazing gym facilities like treadmills, step machines, cross trainers, core burn equipment and many more, each gym lover can enjoy the time they spend at Zone Fitness Philippi.